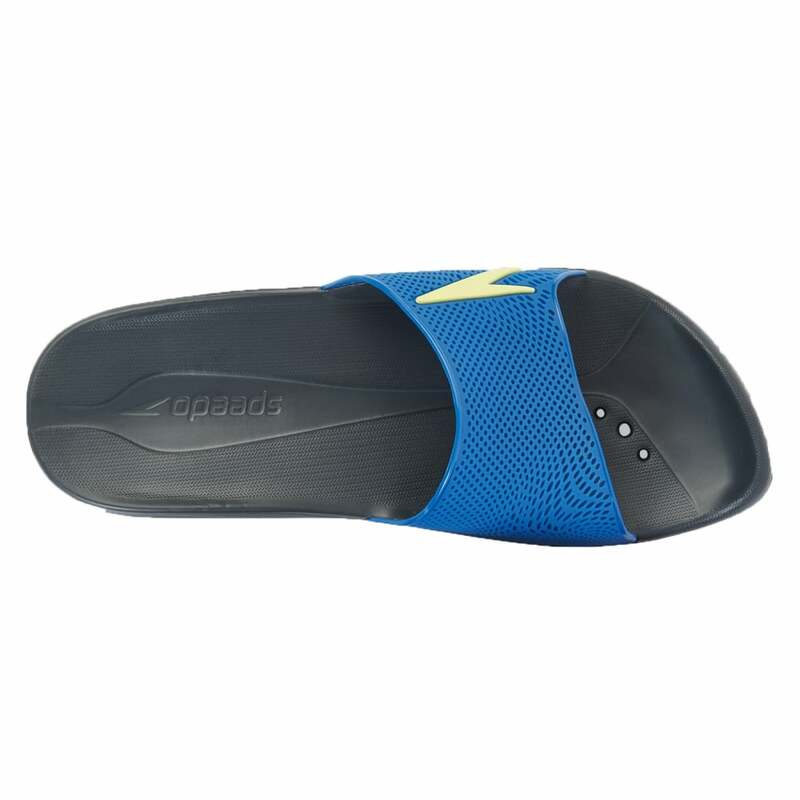 A must-have for every serious swimmer’s kit bag, these men’s slides in a masculine and sporty grey and blue are incredibly lightweight, water repellent and durable. Ergonomically designed to suit the shape and contours of the female foot and for wearing in wet areas, they offer a truly comfortable fit. Slip-resistance tested for maximum wet/dry traction, they make walking around the pool and changing rooms more comfortable, hygienic and safer. They cleverly feel soft yet secure at the same time, which makes them perfect for wearing around the pool or packing for your holiday.